Hello. Joel Greene here from Condo Hotel Center on this Thanksgiving holiday week. Are you prepared for the big feast? 95% of Americans eat turkey on Thanksgiving. 86 lbs. is the heaviest turkey on record, according to the Guinness Book of Records. Birdzilla! 280 million turkeys are sold for Thanksgiving each year. 80 million pounds of cranberries are bought to go with those birds. 30 million cans of Campbell’s cream of mushroom soup are used for green bean casseroles. 4,500 is the average number of calories people consume on Thanksgiving, according to the Calorie Control Council. That’s 3,000 for the meal, and another 1,500 for snacking and alcohol. Personally, I think I exceed that each year but let’s not dwell on the negative. In keeping with the abundance theme, today I’m writing not about one property but about three. These three all have something in common. They’re from the same developer and offer the opportunity to participate in a rental program that could generate revenue for owners. Additionally, all three of these properties offer you the choice of whole ownership or affordable fractional ownership in which you are allotted four weeks per year. Use some or all of your four weeks. What you don’t use, you can put into the rental program. So let me give you a quick synopsis of each of these properties. A five-star vacation property, Hera Luxury Resort is nestled in a sheltered bay on the southeastern tip of the beautiful island of Samos, Greece. The property, soon to be under construction, has 232 units. Hera Bay is a five-star resort in Samos, Greece. The resort has two beautiful beaches with crystal clear waters perfect for swimming, diving and sailing. Samos is a classically traditional Greek island renowned for its history, architecture and culture. It also has plenty of shops, restaurants and waterfront bars with pretty fishing villages leading to cobbled backstreets. Construction on Hera Bay Luxury Resort is expected to begin by spring/summer 2017 and will take 36 months to be completed. Hera Bay Luxury Resort offers six different types of villas, apartments and hotel suites, most with terraces and superb sea views. 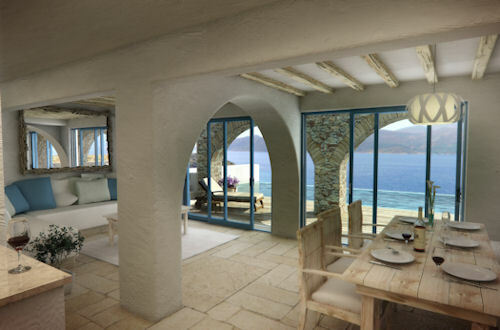 The homes offer panoramic views of the sea. Buyers have the option of choosing either whole or fractional ownership. The units designated for fractional ownership will be delivered fully furnished. Owners can decide to use their property for four weeks a year or enter all or some of their allotted time into the rental program to receive rental income. Prices for whole ownership start at about $150,000. Prices for fractional ownership start at about $15,000. As a buyer incentive, the developer is offering a 200% buyback opportunity if owner so desires, 10 years after completion. A beautiful resort, Wyndham Halcyon Retreat offers the opportunity to own a vacation home in the heart of the French countryside. It features upscale accommodations as well as an outstanding range of facilities, all centered around a majestic French chateau in beautiful Limousin, France. Wyndham Halcyon Retreat encompasses a French chateau set on 220 acres in the French countryside. Designed in a 17th Century Louis XIV architectural style, the resort encompasses 220 acres with two lakes and a few buildings, including a 16th century turreted chateau, soon to be a full-service spa, and the main chateau built in 1898. The main chateau with 54 rooms has been completely refurbished and has been operating since 2012 as Chateau de la Cazine, a stand-alone, 19-room hotel with a fine dining restaurant, outdoor pool and tennis courts. The developer is also creating a French community named “Le Village” that will consist of traditional stone-period buildings. It will have a total of 195 units including studios, and one- and two-bedroom units. 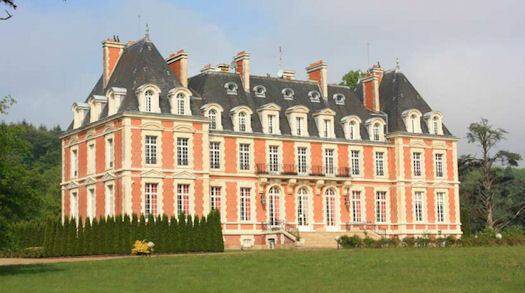 Now Chateau de la Cazine is becoming part of the Wyndham Hotel and Resorts, the world’s largest hotel group. In fact, it will become Wyndham’s flagship hotel for all of France! Construction is currently underway at Wyndham Halcyon Retreat to bring it to a five-star level. The resort is expected to be complete by December 2018. Buyers can choose from a limited number of luxurious suites in Château de la Cazine hotel and the 195 units in Le Village. They have a choice of fractional ownership and whole ownership. Fractional ownership provides four weeks of usage. Prices start at approximately $16,000. Whole ownership starts at about $181,000. Both offer the opportunity to participate in the rental program and receive rental revenue. Also, as a buyer incentive, the developer is offering a 200% buyback opportunity if owner so desires, 10 years after completion. If property ownership in Greece or France seems too far from home, I have a U.S. property to offer. Halcyon Palms Luxury Residences are either 4- or 7-bedroom homes. 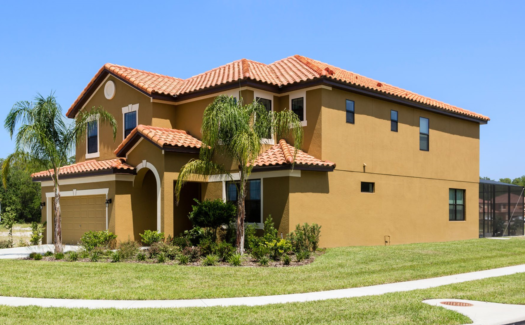 Halcyon Palms Luxury Residences is a private gated community in the midst of a nature reserve in Orlando, Florida. Despite its tranquil surroundings, it’s only a short 15-minute drive from Disney World. The ideal vacation home, it features ultra-large, four-bedroom, four-bath and seven-bedroom, seven-bathroom detached villas. The villas consist of 2,722 or 4,308 square feet luxuriously appointed with screened private pool and Jacuzzi. Like the other two properties I mentioned, Halcyon Palms Luxury Residences provides two different ownership options. You can purchase a villa and own it outright. Or you can buy a fractional. Each home has its own private, screened-in pool. Fractional ownership entitles you to four weeks of annual usage. Owners who don’t plan to use all or some of their weeks can have the onsite management rent them out and share in the revenue they generate. The villas are delivered fully furnished and decorated in a contemporary style. Features include a magnificent open formal lounge, spacious living area, dining area, fully-equipped kitchen, either four or seven large bedrooms, inclusive of a large ensuite master bathroom. The villas for fractional ownership come fully furnished, ready for immediate use. The rear of the home opens up to a covered lanai containing a large screened swimming pool and deck, Jacuzzi, and a fitted grill, making it perfect for pool parties with friends. Halcyon Palms is centrally located. Everything vacationers could want is within easy driving distance. Construction of Phase one has commenced, and the first home on the site has been fully completed, including the furnishings, with more to come. Construction has begun on the central facilities building too, with completion expected by spring 2017. 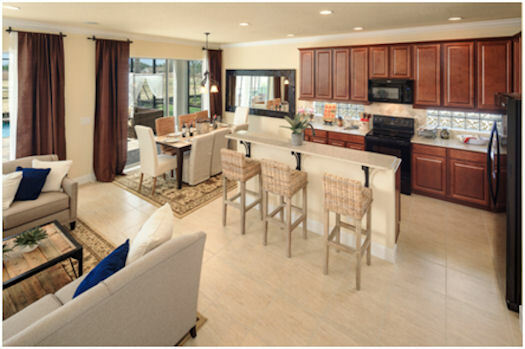 Fractional ownership prices start at $34,500 for the four-bedroom models and $48,000 for the seven-bedroom models. Whole ownership, only available for the 7-bedroom homes, are $708,000. As a buyer incentive, the developer is offering a 200% buyback opportunity if owner so desires, 10 years after completion. For all three of the above properties, management handles all maintenance, cleaning and upkeep of the home and the resort’s amenities. It’s hassle-free, vacation home ownership and an income-producing investment all wrapped in one. If you’re interested in learning more, just hit REPLY to this email or click the link below, and tell me which property interests you, and I’ll email you my detailed data sheet. Please be sure to include your full name and mailing address for our records. Request data sheets here. Provide full name and mailing address for our records. I started this write-up by giving you some Thanksgiving facts. Here’s one more that I found intriguing. 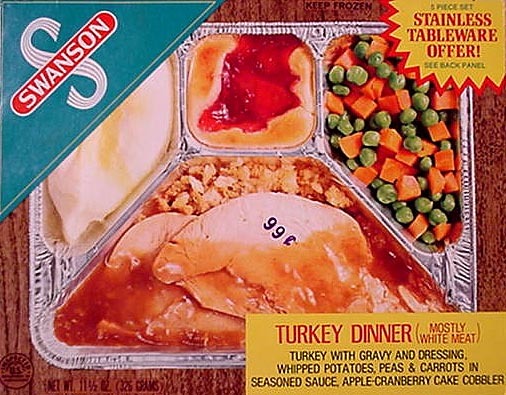 Thanksgiving is the reason we have TV dinners these days. In 1953, someone at Swanson company misjudged the number of frozen turkeys it would sell that Thanksgiving — by 26 TONS! What do you do with over 18 million birds? An industrious employee came up with a brilliant idea. Slice up the meat and repackage it with some trimmings on the side. And that’s how the first TV dinner was born. I bet you always wondered. Remember these TV dinners? They were invented because Swanson had too many turkeys. I want to take this opportunity to sincerely thank you for reading my Property Alerts throughout the year and for your continued interest in Condo Hotel Center. If I can answer any questions for you about today’s featured properties or help you to find a specific property to meet your needs, I hope you’ll give me a call. Although Condo Hotel Center believes the information contained in this Property Alert newsletter to be accurate and complete, Condo Hotel Center can make no such guarantee. All features and descriptions are subject to change. THREE VACATION PROPERTIES WITH ATTRACTIVE RENTAL PROGRAMS.